Every business has their own unique requirements and so does the healthcare industry. With the increasing focus on service excellence, every business wants to enhance operation management and healthcare is not an exception to it. With simple and robust hospital management software solution, it is possible to automate the entire administrative processes inside a hospital. A hospital has numbers of different departments that work in tandems to render health care services to the patients. Every individual department has their own processes, activities and set of standards. To deal with every aspect of the hospital, we have successfully developed so many custom hospital automations and management systems that cover all the Modules – IPD, OPD, Patient Care, Patient Registration, Reports, Pharmacy, Billing and Account, Discharge and Room Booking. We have a team of skillful analysts, designers, and developers who can bring robust, reliable, secure and HITECH/ HIPPA compliance system that stands out your hospital distinctly among the competition. We have successfully developed a customized system for several clients with diversified requirements. It enhances our proficiency and makes us more proficient. Our skilled developers are well-versed in customized Healthcare solutions and offering integration services in the areas of medical, pharmaceutical and life sciences. Over the past several years, we have worked on multiple healthcare projects and that has helped us to achieve healthcare business domain knowledge. Our pool of resources owns varied set of skills in multiple healthcare areas. Leverage our 360-degree occupational solutions to avoid operational and monitoring hazards at a very competitive administrating cost. With the procedures, protocols and technology in place, it has become so much easier to complete the project. 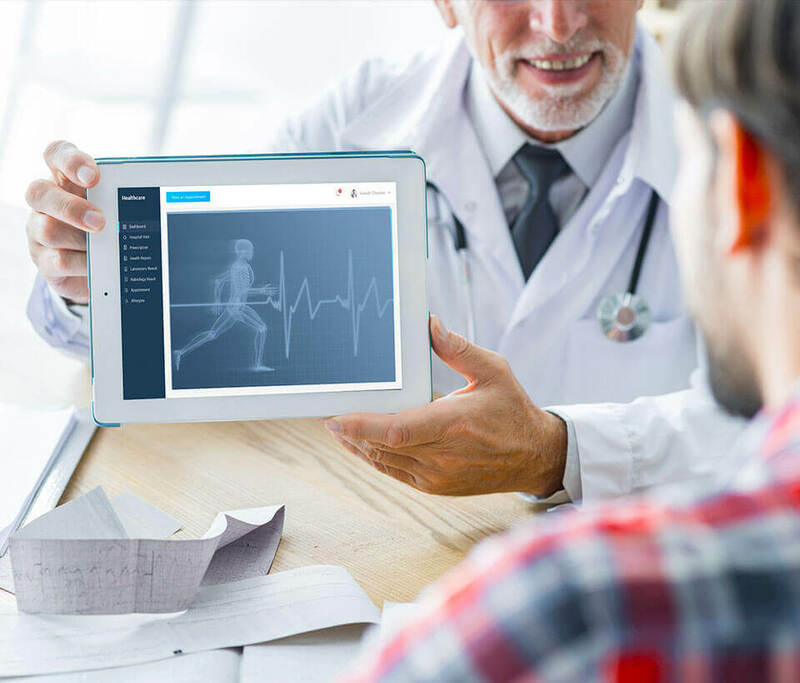 We have developed such level of expertise to upgrade, standardize and implement customized healthcare software solutions without any interruptions in your business. With our years of experience in the healthcare industry, we have enabled our valuable customers with multiple benefits, like insightful decision making, greater efficiency in operations, renewed consumer experience, and personalized, patient-centric, sustainable and cost-effective healthcare solutions. With the right mix of people, processes and technology, we help our clients achieve their strategic objectives. 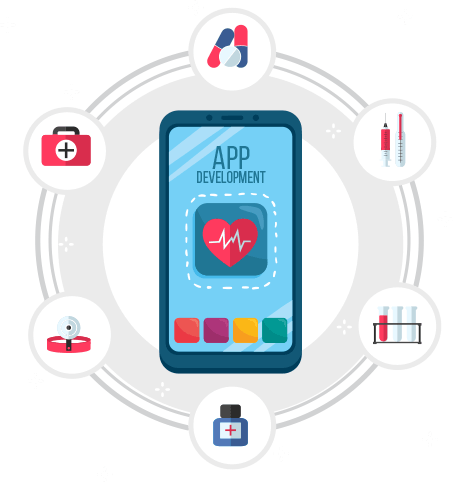 We offer robust, scalable and customizable healthcare application development services to develop innovative disruptive software solutions for flawless transformation. 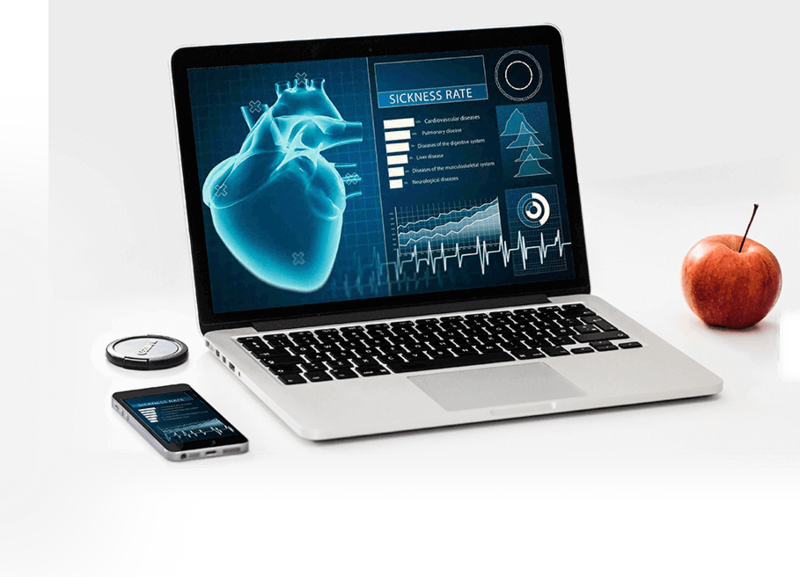 If you are looking for customize healthcare software solution to scale up your technology infrastructure and enhance the quality of your healthcare services, then get in touch with us today.